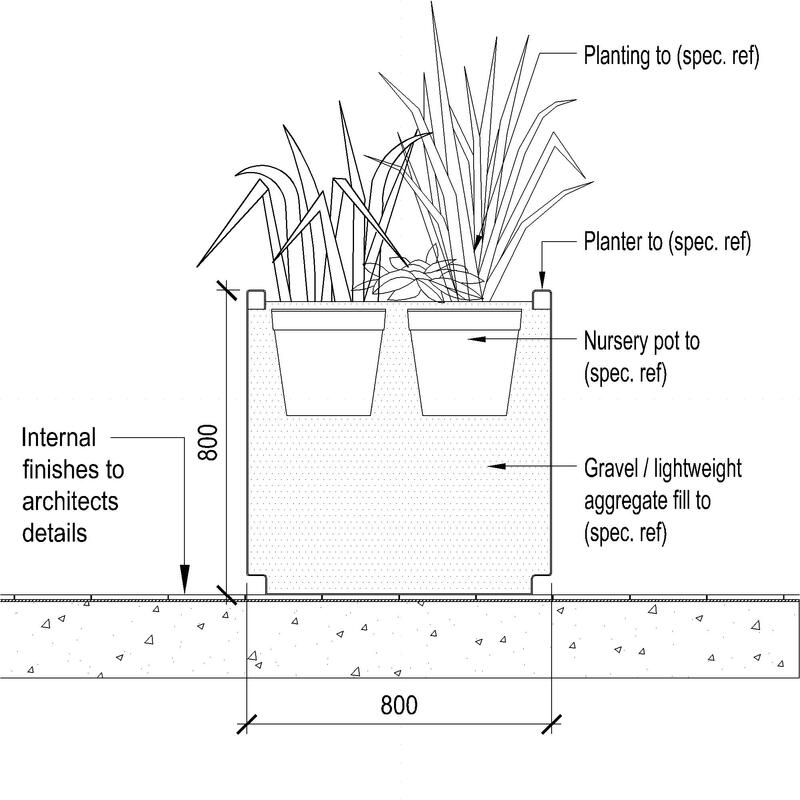 An internal planter system typically comprises of items such as container, facing to structural wall and configuration. 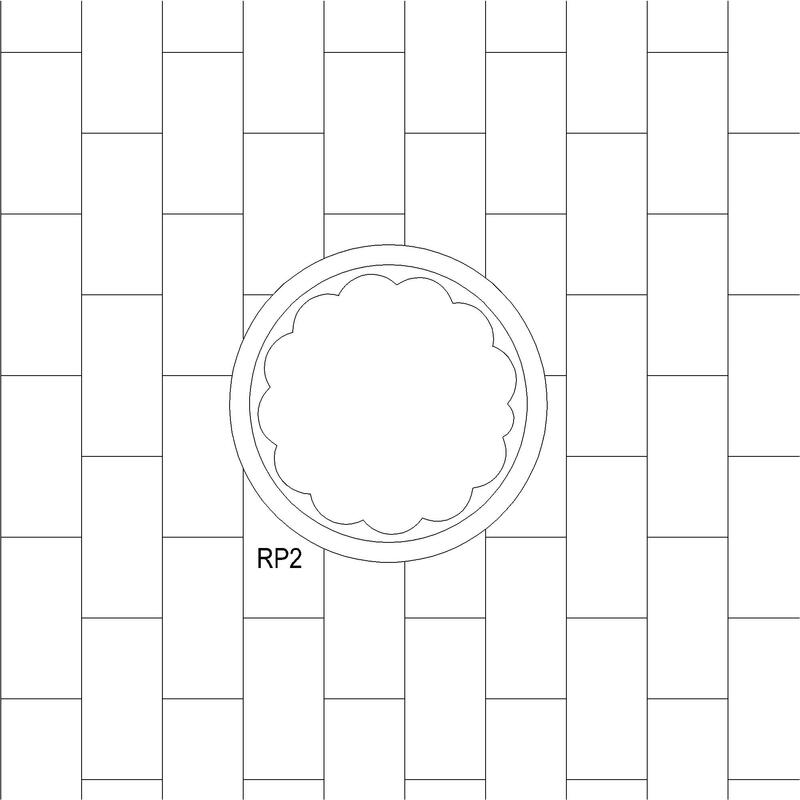 Complete this electronic spreadsheet to ensure that your Internal planter systems product information meets the requirements of Level 2 BIM. This is important as it will enable your customers to select, specify and use your products within the BIM environment. Once you have completed this template you can host it on your own website or distribute it to your customers. Please note that we do not host completed product data templates within the BIM Toolkit. 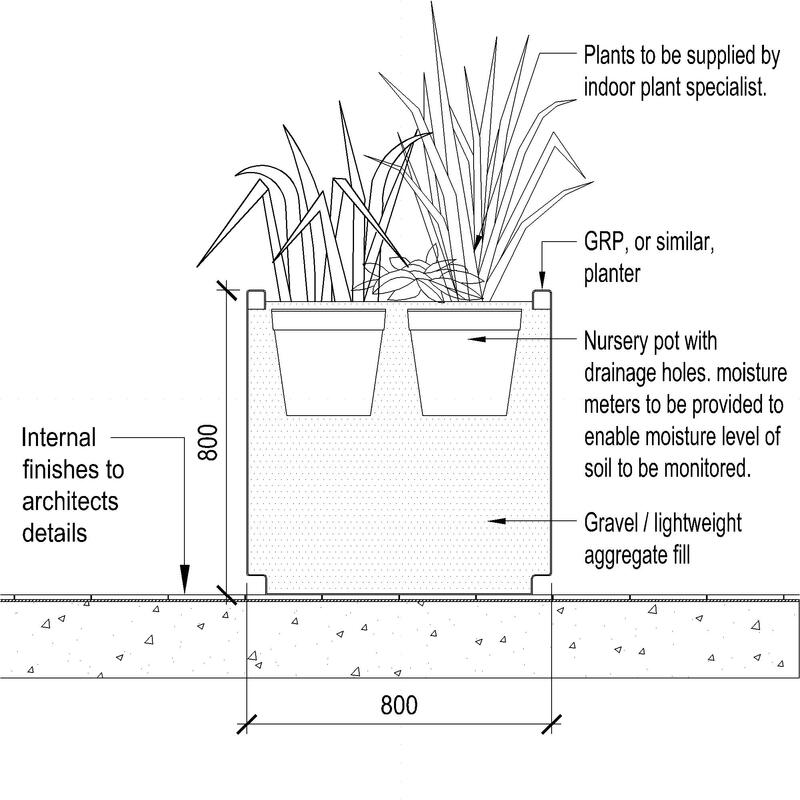 The above illustration is for Internal planter systems from the NBS section Internal container planting systems. This is indicative of the LOD requirements for Internal planter systems. 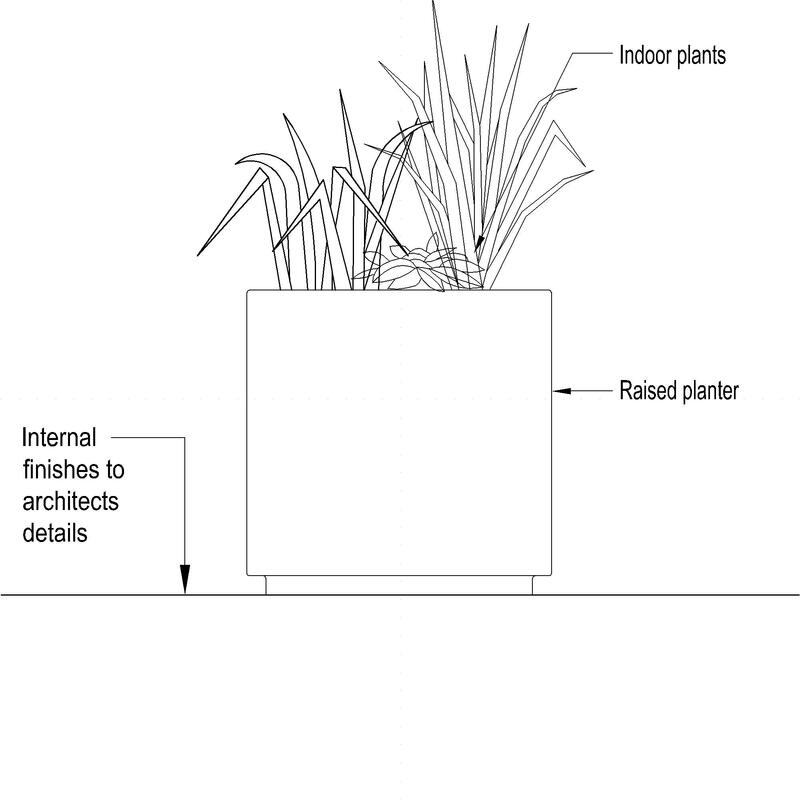 The above illustrations are for Internal planter systems from the NBS section Internal container planting systems. This is indicative of the LOD requirements for Internal planter systems. Container - Base The Container - Base of the Internal planter systems. Container - Structural wall The Container - Structural wall of the Internal planter systems. Facing to structural wall The Facing to structural wall of the Internal planter systems. Configuration The Configuration of the Internal planter systems. Dimensions The Dimensions of the Internal planter systems. Drainage pipework The Drainage pipework of the Internal planter systems. 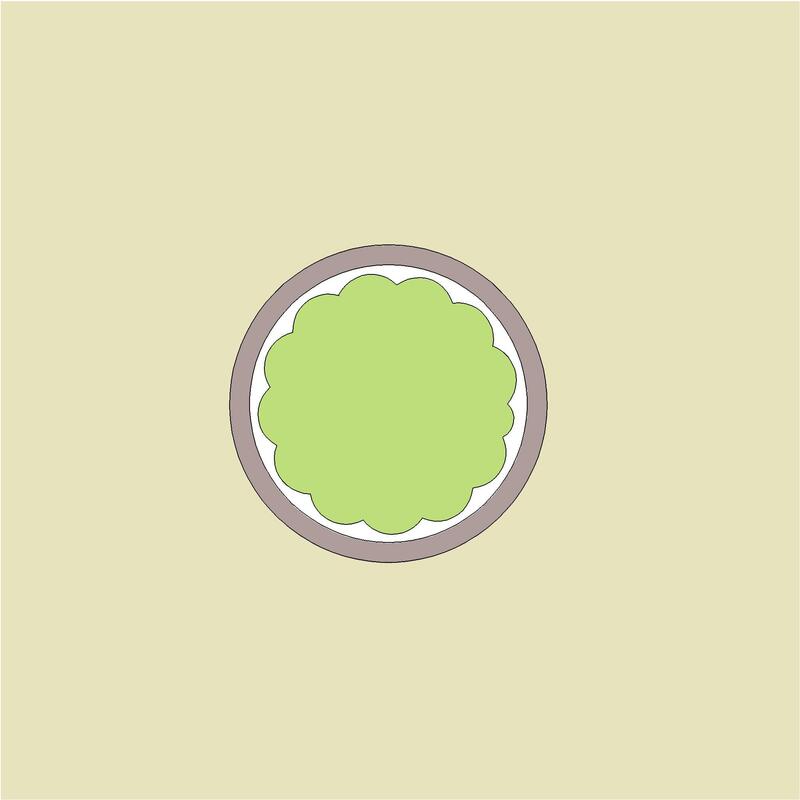 Waterproof membrane - Requirement The Waterproof membrane - Requirement of the Internal planter systems. Waterproof membrane - Tanking protection Products such as Cementitious levelling screed mixes. Insulation Products such as Expanded polystyrene (EPS) boards. Liner The Liner of the Internal planter systems. Protection Products such as Bitumen-based black coatings. Drainage layer - Requirement Products such as Expanded clay lightweight aggregates. Drainage layer - Filter membrane Products such as Plastics sheets. Mulch - Herbicide Products such as Combined selective lawn herbicide and feed mixes. Irrigation system The Irrigation system of the Internal planter systems. 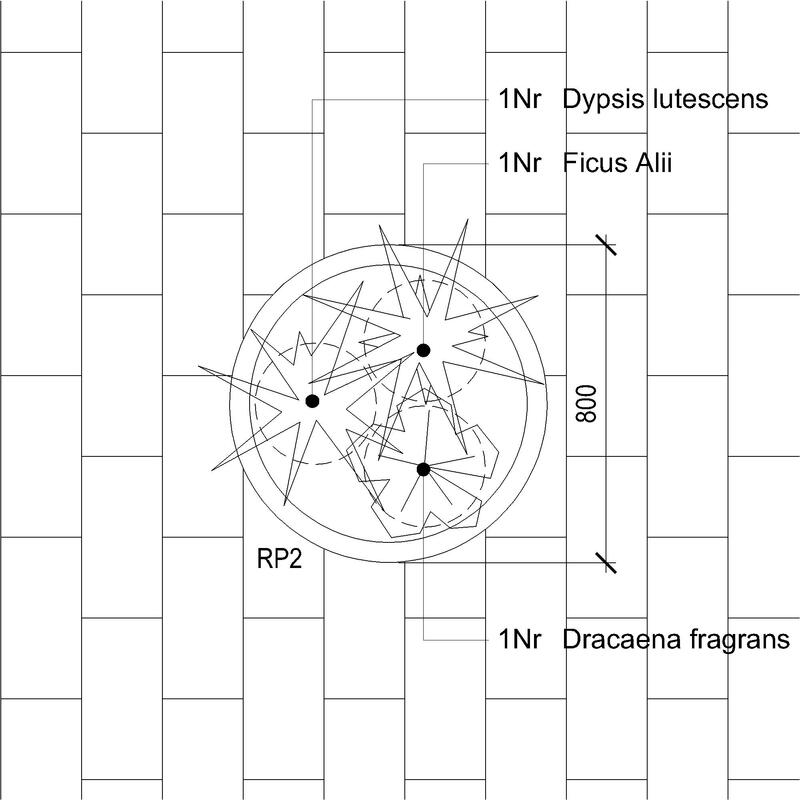 Planting - Requirement Products such as Cell-grown conifers. Planting - Plant supports Products such as Stakes. Planting - Plant protection Products such as Tree guards. Site finishes The Site finishes of the Internal planter systems. System accessories Products such as Plaques. Samples The Samples of the Internal planter systems.